Muay Thai Training Phuket – Do you want to explore an wonderful island, but also do something for your fitness? Then we have the right offer for you! Our partner in Phuket, one of the most successful and respected Muay Thai training camps in Thailand, offers various combat sports and private Muay Thai training. Through years of experience, the Tiger Muay Thai training camp has become one of the best in the world, where beginners and hobby athletes but also real regularly come to train and improve their skills. With Tiger Muay Thai, you can also enjoy the benefits of Muay Thai, MMA and Brazilian Jui Jitsu in Phuket. Here you will get an overview of the offer for fighters, fitness enthusiasts, adventure lovers and athletes in Phuket, a real mecca for Thaiboxing and MMA in Thailand. Information about the prices and packages below! Why train Muay Thai and fighting sports in Phuket? Muay Thai is the national sport in Thailand and almost everywhere you can find training schools and camps. However, many people regularly go to Phuket, as Thailand’s largest island is the whole package. You will find here not only one of the most professional Muay Thai and MMA schools in Thailand, but also a fantastic environment which is ideal for relaxing. After a hard day at the gym it is easy to relax at the beach, or to enjoy the fantastic scenery. This is why Phuket is the ideal place to learn Muay Thai, improve your skills, train, or prepare for a competition. It is suitable for every taste and skill level. Whether it is kickboxing / Muay Thai, Brazilian Jui Jitsu, MMA or even Krabi Krabong, our partner Tiger Muay Thai teaches you in the type of combat you want. If you are still undecided, and do not know exactly what is right for you, you can get a brief overview of the following martial arts offered at the Tiger Muay Thai Camp in Phuket. You do not just book one combat sport, but the whole package. This means you choose the period of your stay (1 week, 1 month or 3 months), but then you get access to ALL classes. Today Muay Thai, tomorrow Jui Jitsu and the day after MMA? No problem, you decide for yourself and can choose from the complete offer which the Tiger Camp has available. Muay Thai is the nationalsport of the Thai people and not only in Thailand but worldwide known and very popular. Muay Thai is also known as Thai boxing. The Muay Thai developed from traditional martial arts. When the sword and spear of a warrior became unusable, they used their legs, fists, and elbows to fight. A martial arts style that is still taught today and which is highly effective in MMA circles. Under the direction of the highly experienced head coach, the champion Ajarn Dang, the beginner’s program focuses on the teaching of the basic principles of Muay Thai. These include posture, footwork, basics, kicks, knees and elbows and the defense of these techniques, as well as, of course, the right counterattacks. The middle Muay Thai program is for students who have a previous training experience and already know the basics of the art. The intensity of the training is increased and some more complex techniques and combinations are taught. The head coach of the intermediate group is Kru Nai, a former Lumpinee champion, the training style is hard but fun. The professional Muay Thai program is aimed at students who already have a good experience and also suitable for fighters with professional fighting experience. This program is much more demanding than that for beginners and intermediate programs, with emphasis on the development of combat fitness as well as ring abilities. This is the perfect program for students who want to prepare for a fight or refine their skills and general fitness. The training is led by Kru Robert “The Terminator”, who has many years of experience and is known for his hardness. Robert and the other trainers will make you physically and mentally stronger. MMA (Mixed Martial Arts) is a combat sport in which both fists and legs are used and is a colorful mix of different martial arts. 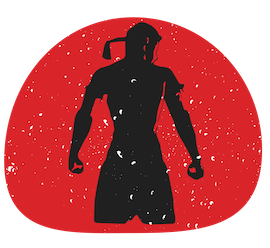 The fighters use the fighting and kicking techniques of boxing, kickboxing, Taekwondo, Muay Thai and Karate, as well as ground techniques such as the Brazilian Jiu-Jitsu, Ringing, Judo and Sambo. Techniques from other martial arts are also used in MMA. Mixed Martial Arts has become the fastest growing sport in the world. It combines the use of distinctive, grasping, ring, and subvention techniques that create such a diverse and dynamic martial arts experience. The Tiger Muay Thai MMA program is run by the head coach and professional MMA fighter George Hickman. Under his direction, the members will learn the many different techniques and skills which are required to be successful in mixed martial arts. Come and train in Phuket with the world-famous Tiger MMA-Team. Many of its members and coaches compete in the biggest competitions in the world, such as the UFC, ONE and other well-known leagues. Whether you are a professional, or have no experience at all, the TMT MMA program is a great opportunity to train in one of the best camps in the world! The Brazilian Jiu-Jitsu (short, BJJ) is a variation and further development of the Japanese martial arts Jūdō and Jiu-Jitsu, which focuses on soil fighting. The experienced trainers of the Tiger Muay Thai Camp will accompany you through this hard but special training and make sure you learn the basics quickly. K-1 is a Japanese martial arts organization that for a long time was one of the most important martial arts leagues in the world. K-1 combines techniques from boxing, Karate, Muay Thai, Taekwondo, Kickboxing and some other fighting sports. Falsely it is often assumed that K-1 is a martial art of its own; But in the K-1, there are mainly representatives of different martial arts, which follow the common rules. It is, therefore, rather to be classified as an own type of competition. For example, the clinching or the use of elbows (eg from the Muay Thai) and throwing (eg from Judo) are not permitted. 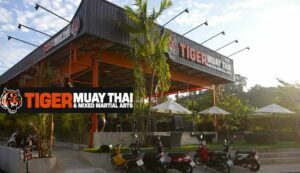 The customers at Tiger Muay Thai can also enjoy a high-quality gym, where they can train freely on a daily basis. There is also a personal coach who will show you exactly how to perform the exercises, compile training plans and advise you on the right diet for the ideal muscle build-up. A round-the-clock service of professional coaches with years of experience. If you do not want to learn martial arts, you will also be offered an acceptance program, where you will be accompanied by professional coaches and trained to lose weight efficiently and remain in good shape on the long run. The training camp is located in a nice and quiet area on Phuket. To the beautiful beaches of Phuket it is not far and also many of the sights are reached quickly. But the most important thing is the training camp, which you can check out in the following video. The equipment is simply sensational and belongs to one of the best in Thailand and even worldwide. The facilities are one of the biggest MMA and Muay Thai Camps worldwide! There is also an accommodation available for you. To make sure you do not have a long way to go, the accommodation is only a few meters away from the training camp, the ideal option for a stay. In the training camp, Tiger Muay Thai offers its guests an accommodation that is clean, affordable and comfortable. Each standard room has a large bed, air conditioning, Wi-Fi internet, TV, DVD, cable, hot water shower, wardrobe and much more. There is also a spa area where you can relax after a strenuous workout by a traditional Thai or oil massage. Nearby there are also many beautiful sights and the landmarks of Phuket, such as the Big Buddha, the Wat Chalong, the Phromtep Cape and last but not least the many beautiful beaches. It can not be practiced day and night, and Phuket offers a fantastic offer between hard Muay Thai training and wonderful beaches – the total package! The emphasis here is on a healthy and balanced diet, that the fighters are always fit for the fight and the right food is served. The Tiger Muay Thai Nutrition Consultant is available for counseling to guide you through the menu so that all of the hard training is consistent with your diet and to ensure you get the best results. All packages offer the entire service. You have the free choice what you want to train. Each package offers accommodation for the booked period, coupons for food in the in-house restaurant, access to the gym and access to all training classes. This package gives you access to all our classes, accommodation in one of our standard accommodations +meal coupons for the duration of your choice. Payable in Baht, Euro or USD – Airport Transfer for 1.000THB available. This package gives you access to all our classes, accommodation in one of our standard accommodations and meal coupons for the duration of your choice. Includes one supplementary package, 1-on-1 consultation and 12 private fitness sessions per month (3 per week). Do not hesitate to contact us and we will find the right offer for you! Since the long journey to Phuket can be very time intensive and strenuous, we try to make it as comfortable as possible. We organize everything for you. From the private transfer from the airport to the training camp, to the on-site consultation so that you can also experience and enjoy the island of Phuket and not just the training individually. Tiger Muay Thai started with a vision to bring quality and authentic Muay Thai training in Thailand to the people of all levels. Now the camp is a home for enthusiasts and professional athletes from all over the world who come out for a variety of reasons. Tiger Muay Thai accepts all levels of fitness and fighter experience, from holidaymakers, adventure junkies, fitness enthusiasts and military personnel to professional fighters and athletes who come to improve the technique and continue to engage in international bouts and tournaments. The Tiger Muay Thai Training Camp has gained a well-deserved reputation as the most important target for Muay Thai, MMA & Fitness Training in Thailand, and is constantly expanding it throug outstanding recessions and renowned professionals.